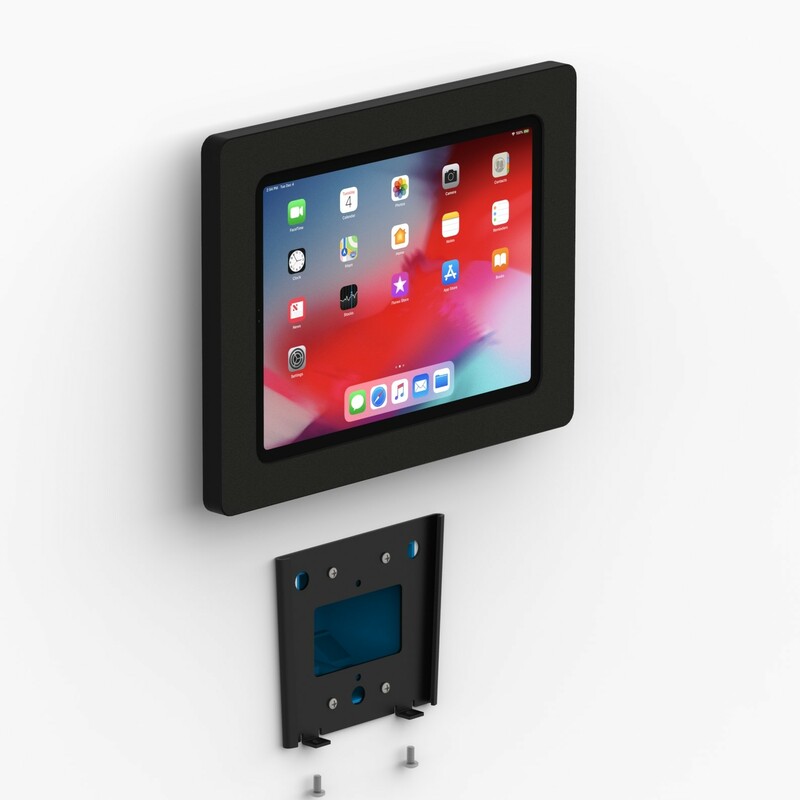 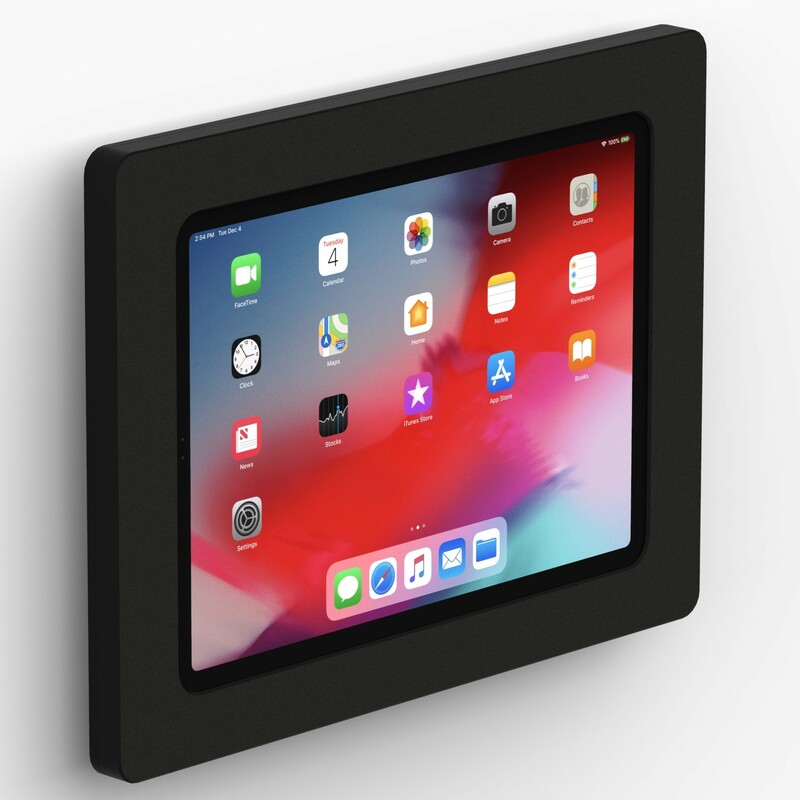 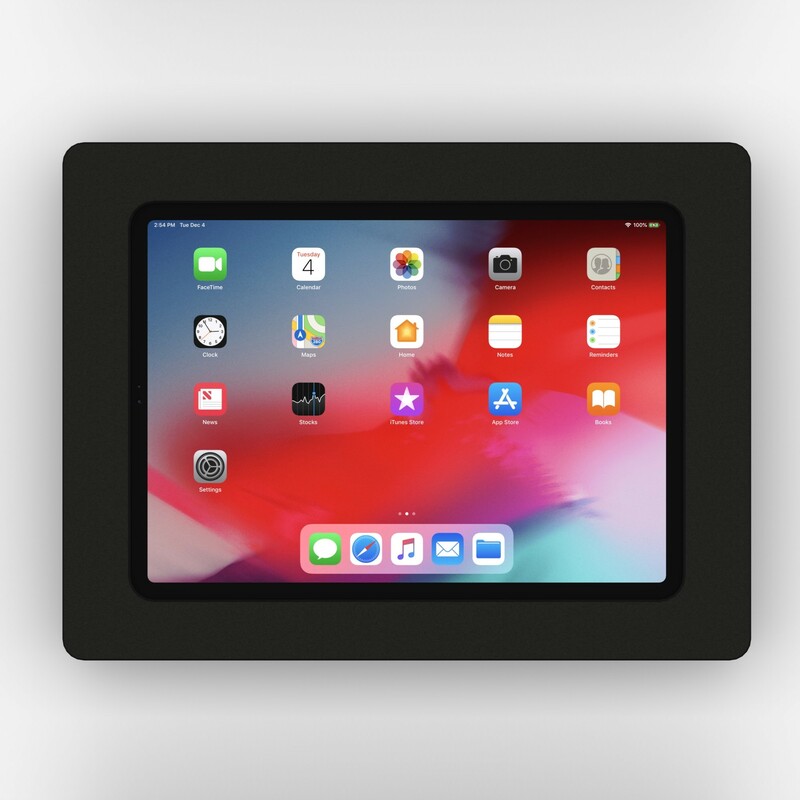 Converts any iPad Pro 11" into a fixed touch panel display. 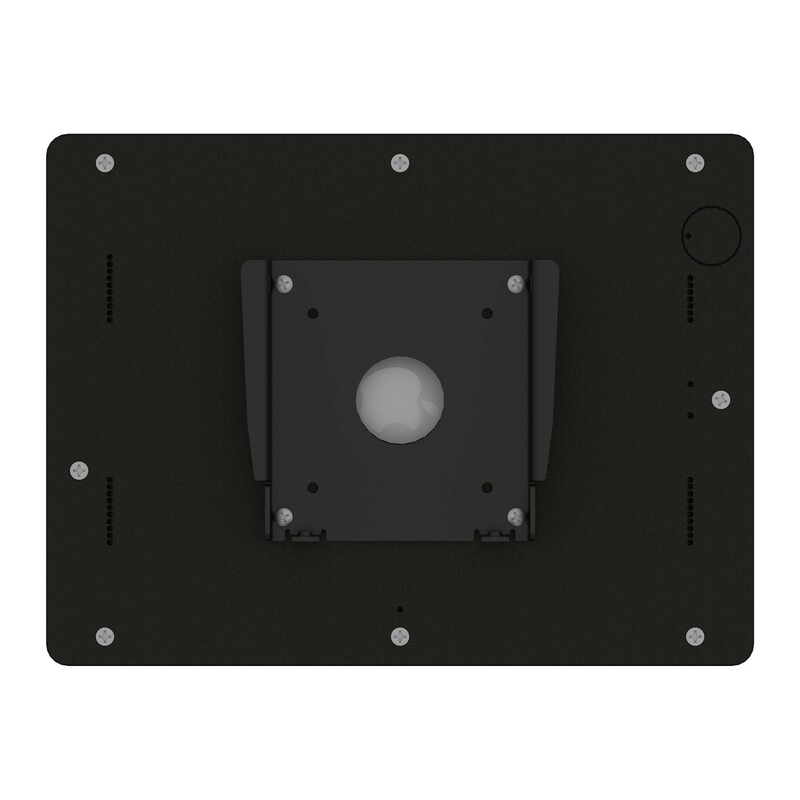 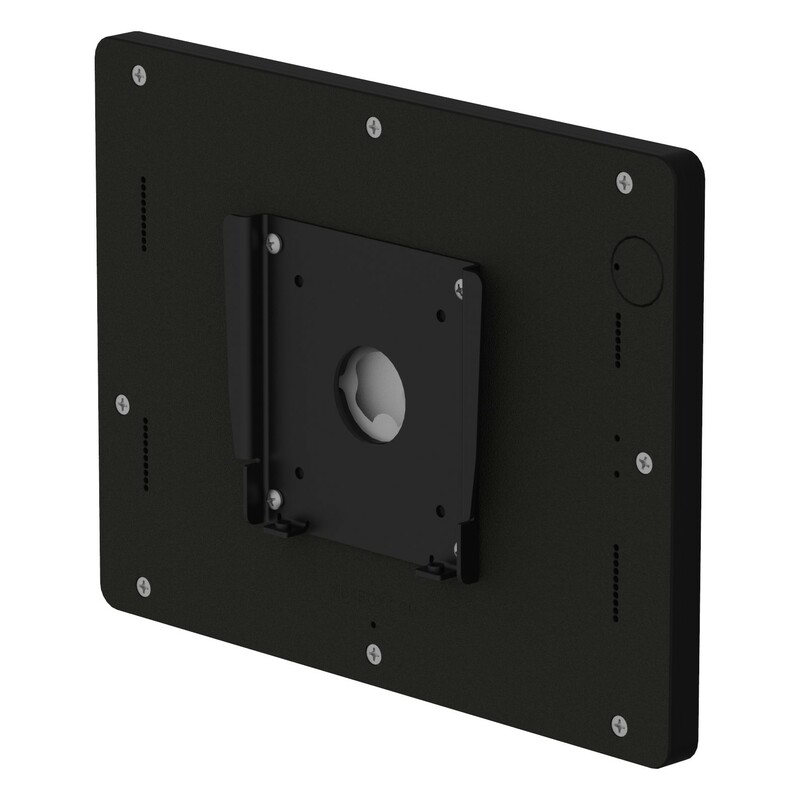 Mounts onto any US or EU gang box for easy installation. 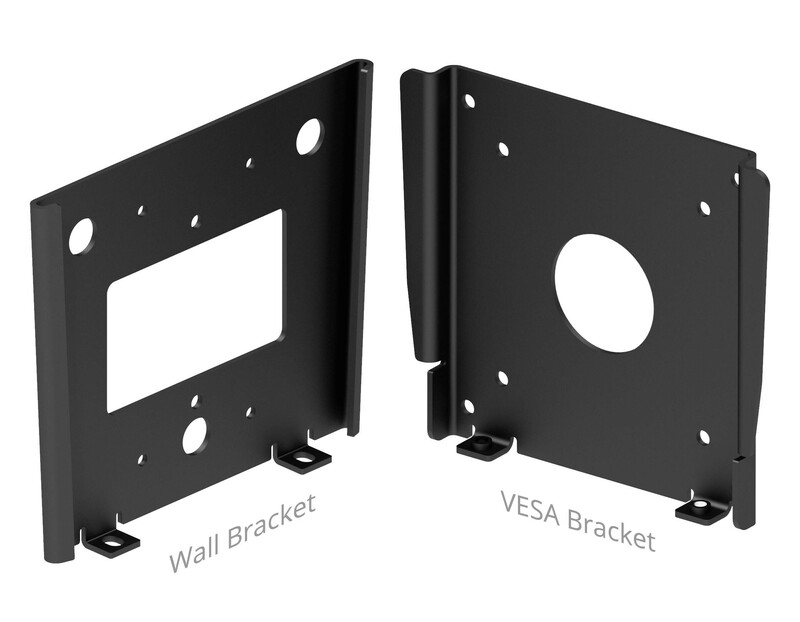 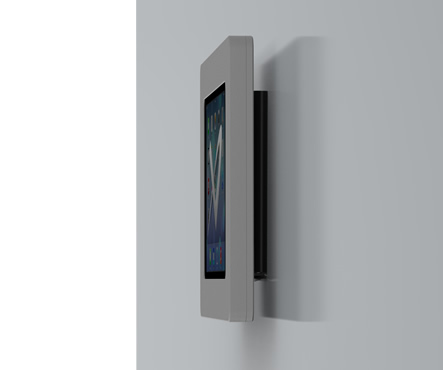 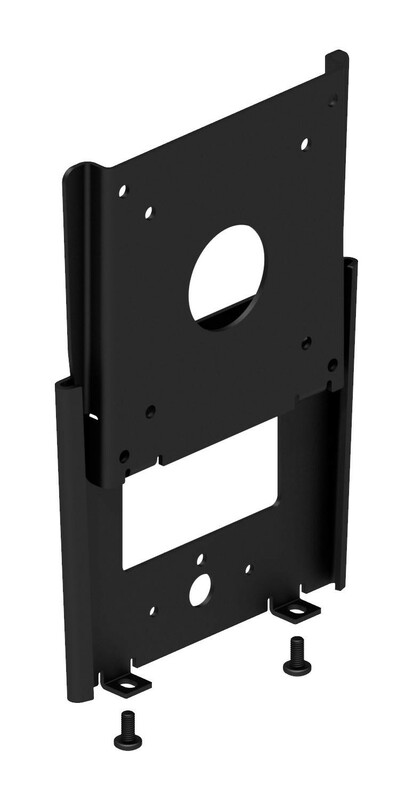 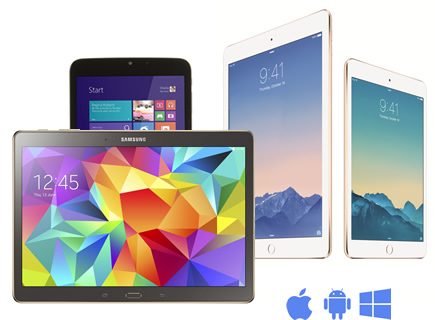 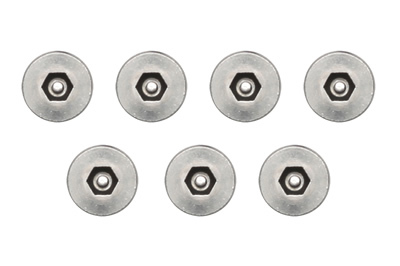 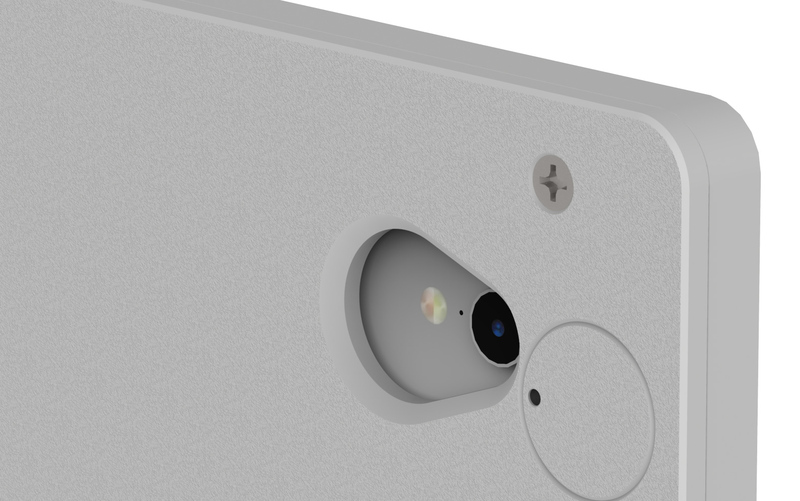 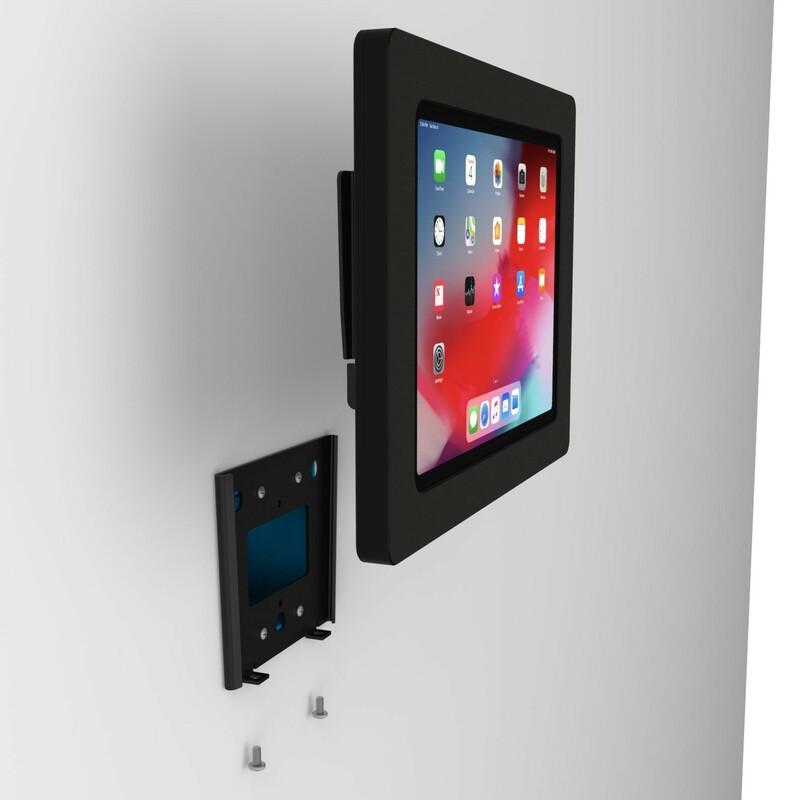 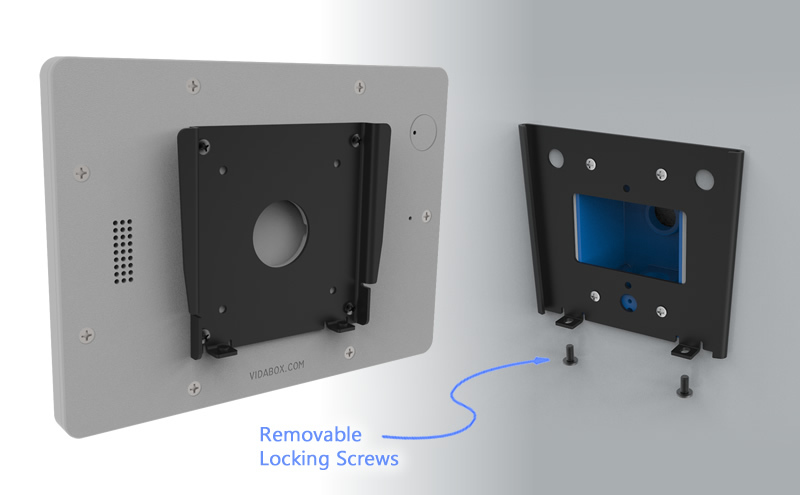 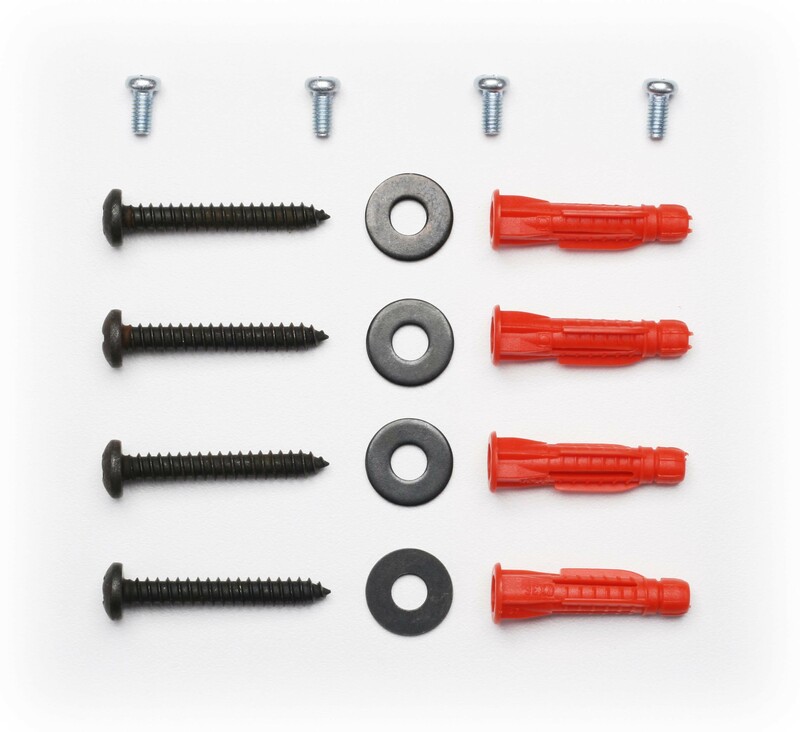 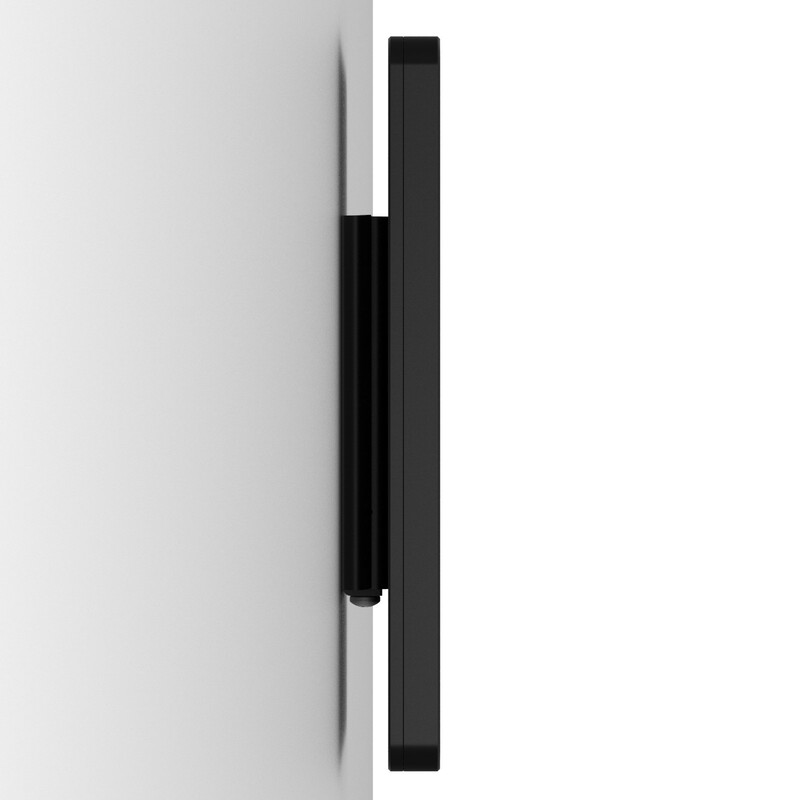 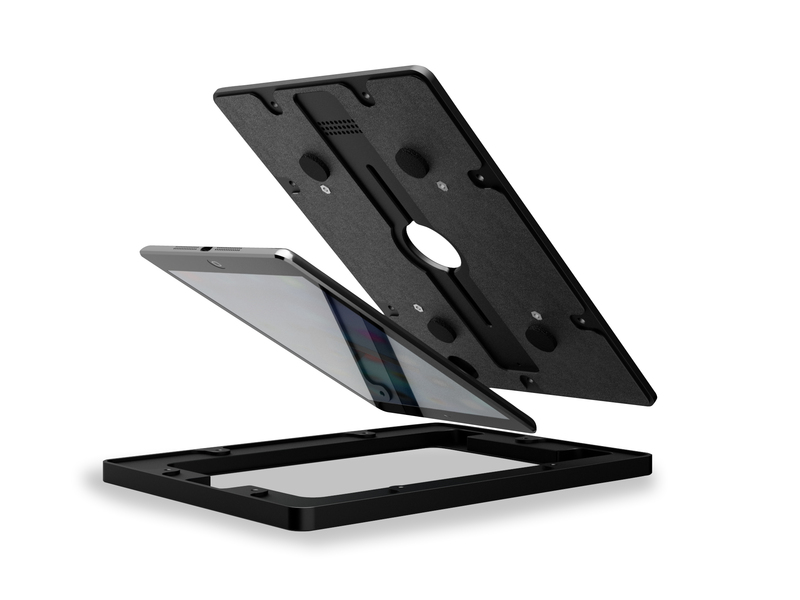 A separable design allows quick docking or removal of your tablet after mounting it onto the wall - or - protect your tablet against removal with the (2) simple locking screws at the bottom. 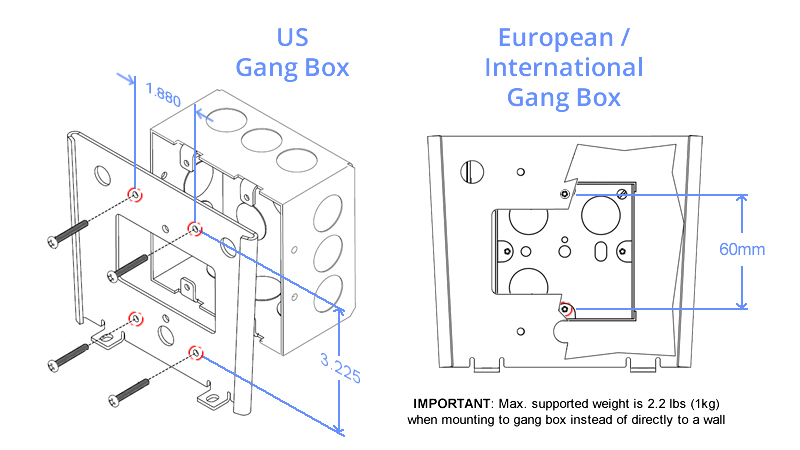 any European or international gang box (60mm inline). 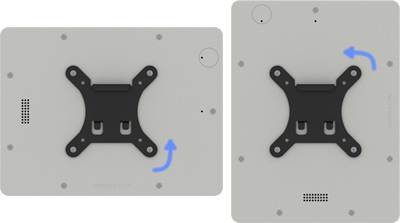 It's the perfect choice when used in conjunction with our VidaPower adapters - simply run a CAT5 cable into the gang box, then place the VidaPower adapter inside. 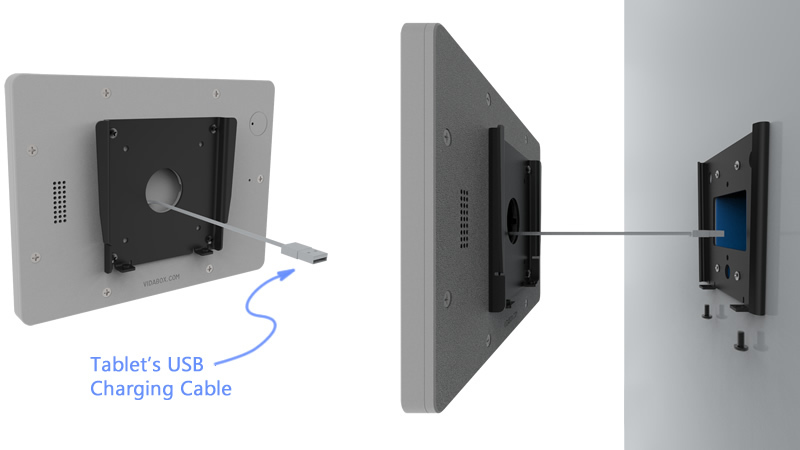 There's plenty of clearance for connecting the required USB cable - installation doesn't get any simpler! 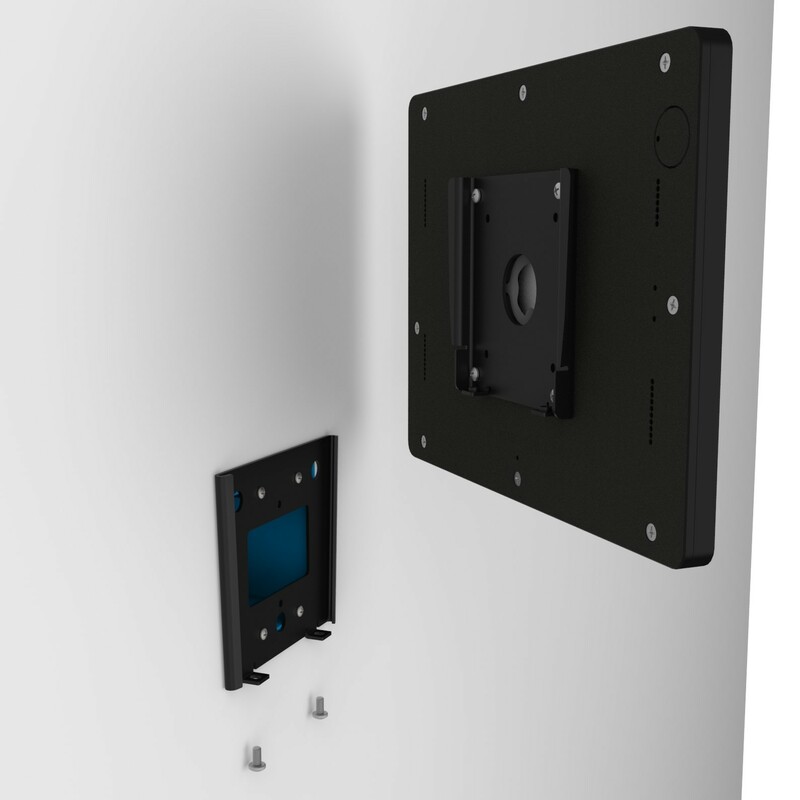 The USB charging cable can be passed through the enclosure's rear thru hole, which allows us to route it to an electrical gang box with a recessed wall charger, or our VidaPower adapters for USB power 24/7! Everything is kept nice, neat, and out of sight!